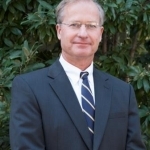 Donald van der Vaart, new secretary for the N.C. Department of Environment and Natural Resources. In case you missed it over your holiday break, Governor Pat McCrory named Don van der Vaart as the new Secretary of Environment and Natural Resources to replace Secretary John Skvarla who is moving over to head the Department of Commerce. In other words, the new secretary’s previous job was pushing drilling and fracking and other industry objectives in a department that’s priority is supposed to be protecting the environment. And that’s not the most disturbing part of his appointment. Van der Vaart was the author of a letter defending a closed meeting on offshore drilling between state and federal officials in November that also included representatives from the oil industry, even though van der Vaat said that neither industry officials nor environmental advocates were attending. The Center for Public Integrity detailed the meeting and the group behind it in a major story a few weeks ago and AP also reported about the meeting at the time. Here’s the gist of the letter and who was really there from a Fitzsimon File a couple of weeks ago. The administration announced a few weeks before the November 6th meeting in Raleigh that it would be closed to the media and environmental advocates even though government officials would be discussing the controversial issue of drilling for oil and natural gas off the state’s coastline. Environmental groups protested with the N.C. Conservation Network sending a letter to McCrory objecting to the meeting being closed. A top official with McCrory’s Department of Environment and Natural Resources responded in writing, assuring the group that only public officials would be on hand. No special interest or industry groups were going to participate to avoid conflicts of interest. The meeting still should have been open but the DENR official was pretty clear about who was and who wasn’t invited. But he was not telling the truth we know now thanks to a report by the Center for Public Integrity that was published in Time Magazine not long before the Thanksgiving holiday. The story details how oil industry representatives were at the closed meeting and even participated on panel discussions with government officials. So if you are keeping score at home, the new head of the state agency charged with protecting the environment is an enthusiastic advocate for drilling and didn’t tell the truth about a meeting on offshore energy exploration attended by industry officials that environmentalists and reporters were barred from attending. That inspires a lot of confidence. I propose a new name for this Republican Administration’s DENR: the Department of Energy from Natural Resources. His oath of office means nothing to him! Impeach NOW!